I'm happy to say I just finished my second week of my Nutrisystem journey. 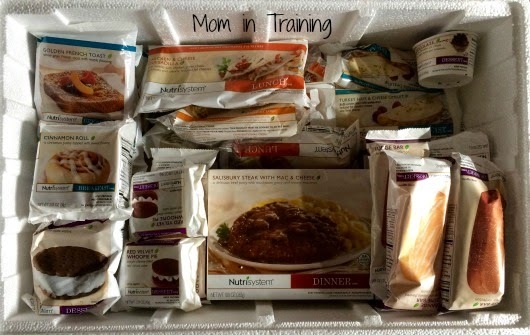 This week I had frozen meals as part of my meal choices as well as adding in PowerFuels, a SmartCarb, and dessert. Plus I could still have unlimited non-starchy vegetables. I have to admit I really liked week two better than the Fast 5+ week. I didn't ever feel hungry or unsatisfied at any point through out the day. With the added snacks I felt like I was full all day long and had plenty to keep me going. However, after this past week I was feeling a little bit discouraged before reading the results of some of my fellow #NSNation bloggers. But thanks to hearing I'm not the only one that's had struggles, and not the only one that didn't lose a ton the second week I feel better. I'll elaborate a little more so it all makes sense. My week started out good, but then I ended up doing a lot more running around then I planned the rest of the week. I was away from home a lot doing errands and running to doctor appointments (which meant it was harder to stay on a schedule, and eat right). I got in my Nutrisystem breakfast as usual each morning, but I didn't always get my morning PowerFuel (I'll explain those in just a bit as promised). And I didn't always able to get in the four servings of vegetables each day as I had the previous week. Some of that was due to running around a lot, and some was due to me not planning the day out in a way I had them worked into my meals. Having the snacks I didn't seem to go to vegetables as often as "fillers" between meals. Sometimes being on the go makes it hard to get the "fuel" our bodies need and deserve. One way you can help avoid the temptation to eat junk foods, or foods that aren't as good for your body is to prepare things ahead you can grab on the way out the door. I've tried to do this with various raw vegetables. I cut them up and keep them handy in the refrigerator for easy grab and go access. One day I was headed out the door and knew I wouldn't make it back in time for lunch so I grabbed a bowl of cauliflower and one of my Nutrisystem lunch bars on the way out. 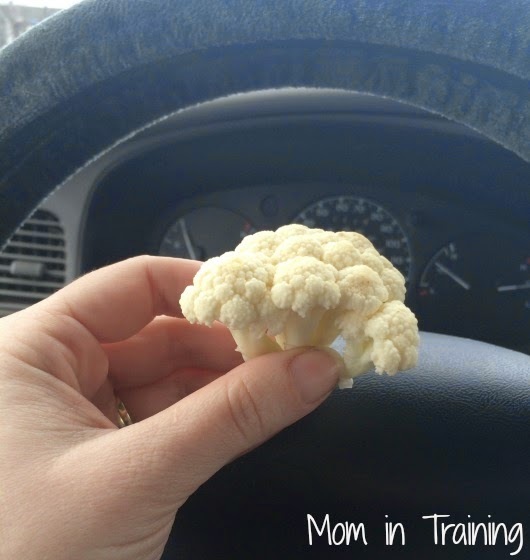 I was able to snack on the cauliflower while I was driving and avoid the temptation of going through a drive-thru for something to eat. It kept me full until it was time for my lunch, and I was home before it was time for my afternoon PowerFuel and SmartCarb snack. Now to fill you in on those PowerFuels and SmartCarbs. PowerFuels are the healthiest proteins that contain essential amino acids and healthy fats. They are the ones that take your body a long time to digest so they help you feel satisfied. These are things like: cheese, fish, eggs, milk, peanut butter, and yogurt. Now do you see why I had trouble getting those in while on the road? Kind of hard to eat those on the run without a little prep ahead. I did pick up some string cheese so if the timing is right I can grab one of those on the way out the door. The other extra I had previously mentioned is a SmartCarb. SmartCarbs are ones that measure low on the glycemic index which means they don't cause your blood sugar to spike and crash (which makes you crave more carbs). These are packed with vitamins, minerals, and other important nutrients your body does need. And they provide you with the fiber you need to keep you feeling full and provide the energy your body needs. SmartCarbs are things like breads, grains, pastas, and fruits. One way you can get them both in at the same time is to make an egg sandwich on an English muffin, or an over light egg with toast. I did this a few times last week for my afternoon snack and it carried me from lunch to dinner perfectly. I'm only down one pound this week, but I can understand that with all of the goings on last week. I did start exercising, but not as much as I want to. Most of my exercise was from walking and not anything that was more effort than usual. I did get on the exercise bike a few times, but my goal this week is to get on it at least twice a day. I am hoping with the added exercise and getting back on track with my schedule of eating this week will prove to be a better week all the way around! 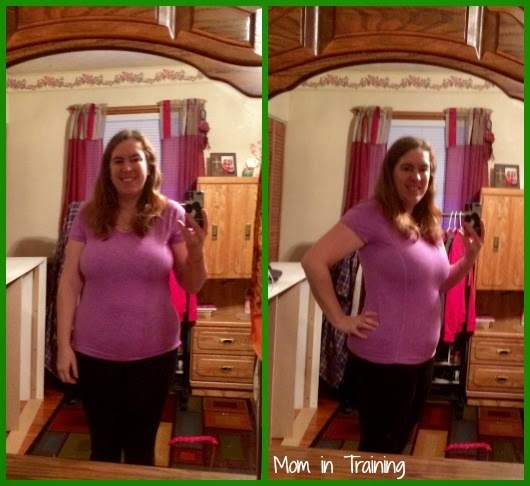 Overall I am happy with my progress and hearing my husband say he has noticed the difference has been a big motivator. Looking forward to another week of losing, and feeling better as each day passes! Dinner: Sweet & Sour Chicken I enjoyed all of my dinners this past week. Want to know more? You can learn more about Nutrisystem here. I was only down about 1 pound too. It will happen. Don't worry, you are doing great! Thanks for the update! I love reading these stories for inspiration! I'm trying to lose weight too. It seems like I do great for a week or so and then lose motivation. I'm going to take you up on the tip about taking raw veggies along when running errands. I lost 10 pounds since the holidays but my diet was called bronchitis. Don't recommend it. Drink lots of water.